The Dumb Starbucks stunt has come to an end, courtesy of L.A. County health officials. 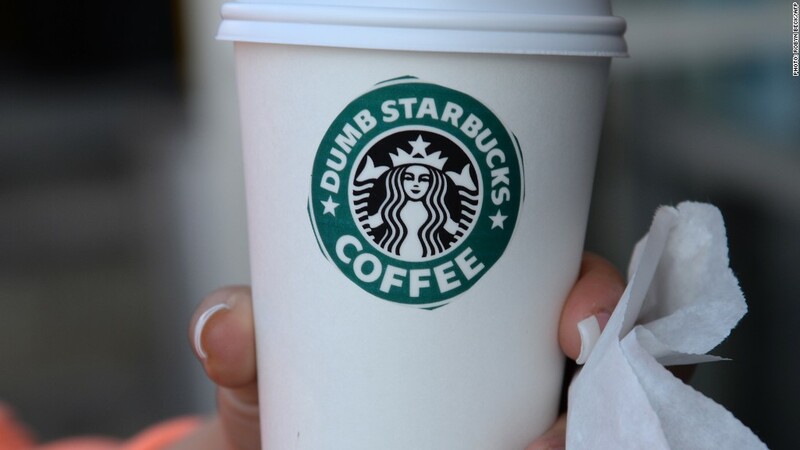 Who would've guessed Dumb Starbucks was a joke? Apparently not the Los Angeles County Health Department. County health officials shut down the parody coffee joint Monday around the time television comedian Nathan Fielder emerged as the proprietor. Dumb Starbucks opened its doors this weekend in L.A., and the baristas gave away free coffee until they ran out. Located in a strip mall next to a laundromat, the shop mimics the Starbucks menu, but places the word "dumb" in front of every product. The store caused something of a media stir, and even prompted a response from Starbucks, which objected to the blatant use of a protected trademark. In the end, it was another legal issue that ended the stunt. Dumb Starbucks didn't have the proper permits -- which Fielder readily acknowledged. "Legally speaking, we're operating as an art gallery -- under parody law, it only covers art -- so the coffee you're buying is the art," Fielder said, explaining parody law meant he could use the Starbucks logo to make a comedic point. "Because of that we do not have a health permit so we didn't have to pay those fees and we passed on the savings to the customers." Starbucks (SBUX), which may disagree with Fielder's legal reasoning, issued a statement that said the company is "glad the mystery is over." Both parties said they hadn't been working together -- despite the word "dumb" being the only apparent difference on the cups and signage. If Starbucks chooses to pursue legal action, the comedian warned the roasting chain risks "losing me as a customer." Fielder offers comically bad business advice on his television show, and his latest stunt surely wasn't profitable. But he kept costs low by foregoing the luxury roasts Starbucks is known for. His beans are "usually whatever Ralphs has on sale," he said.